This divine album is the first in a three-album series of journeys through the greatest stories of all time. 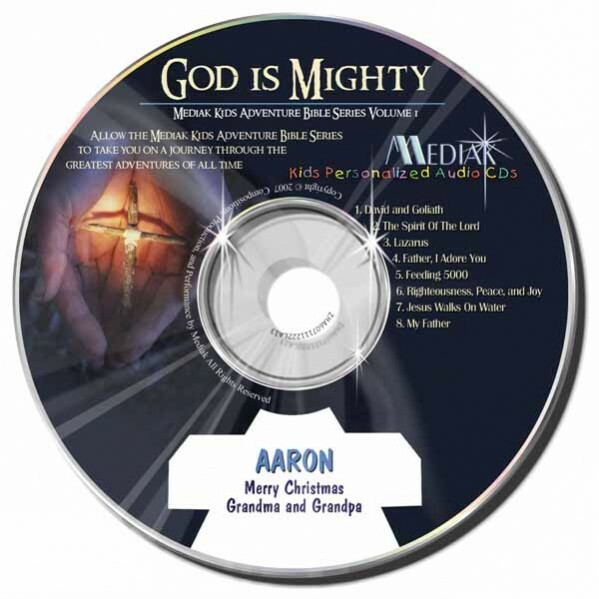 Personalized 53 times, the eight inspirational stories/songs, breathtaking voices of the characters, and sounds of biblical times make these familiar biblical stories a memorable experience . . . that will remain forever.